A couple of weekends ago, when I was last in Cornwall, we visited this beautiful National Trust house and gardens, Trerice. It was one of those ones that’s small enough and so completely gorgeous that always makes me think, ‘I could live here!’. And within the outbuildings of the house there was not only a very good cafe but also a second-hand bookshop - where I bought this book for 50p. I mean, South-east Asian salads?! I cannot have enough of them! 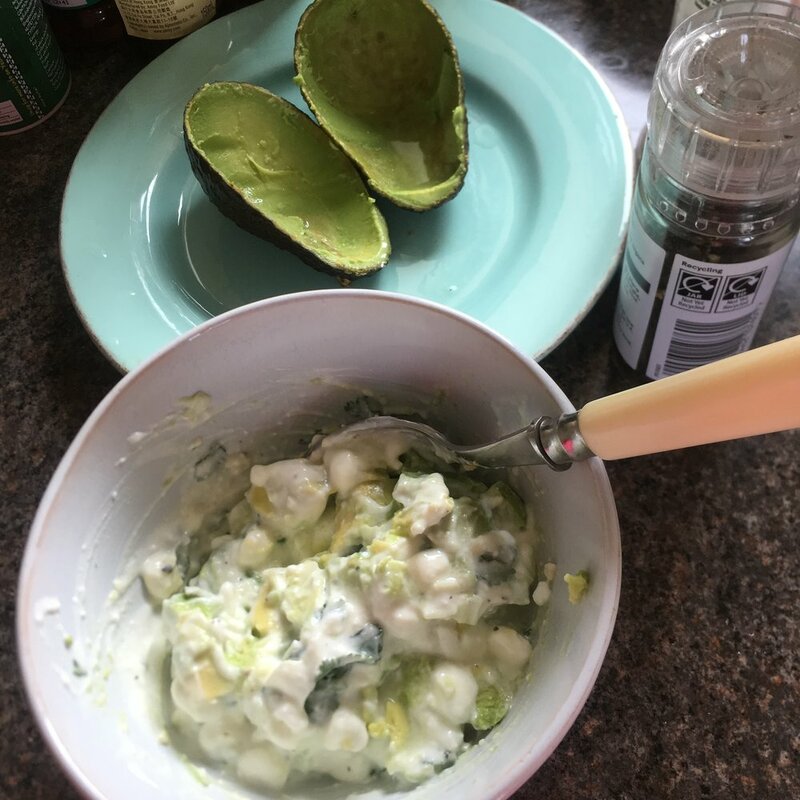 And one of the recipes in the book was for this Malaysia avocado salad that I’m making today - with a few little changes, as always, to make it exactly as I’m going to love it. I’ll definitely be making this again (and again). Cut the avocado in half, remove the stone, and dice the flesh. Set aside and squeeze some lime juice into the halves. Put all the remaining ingredients (except for the garnishes) into a bowl and mix thoroughly and add a little salt and pepper to taste, plus another squeeze of lime juice, and then fold in the avocado cubes. Put this bowl into the fridge for 10-15 minutes to chill. When you’re ready to make the final dish, add some of the chopped lettuce into the avocado shells, then fill with the chilled mixture. 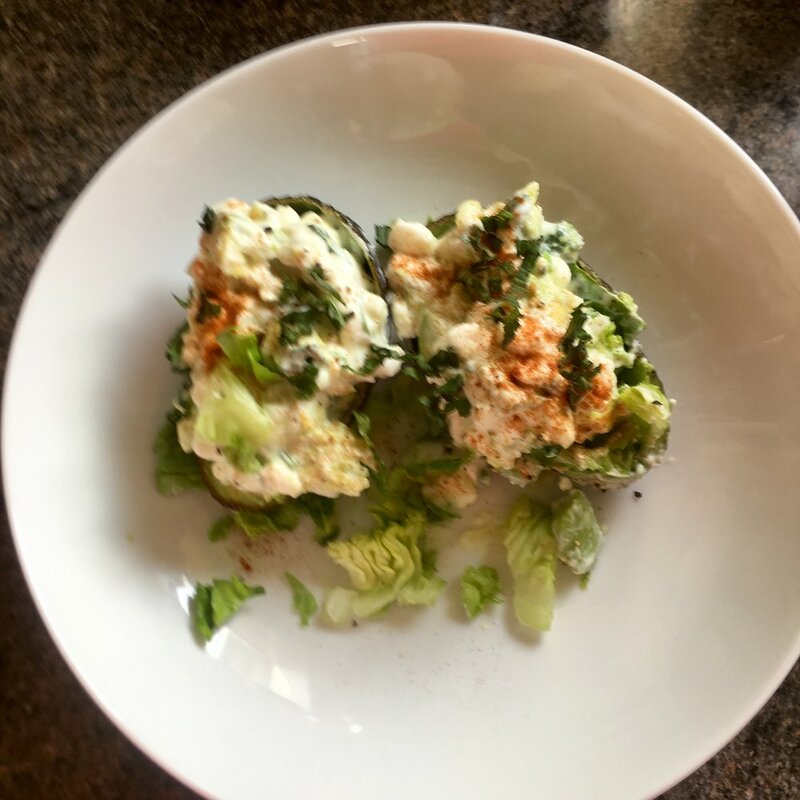 Add the rest of the lettuce to your serving dish, and top with the filled avocado shells. Finish with a little salt and pepper if liked, and a powdering of smoked paprika plus a little chopped fresh mint … and eat! 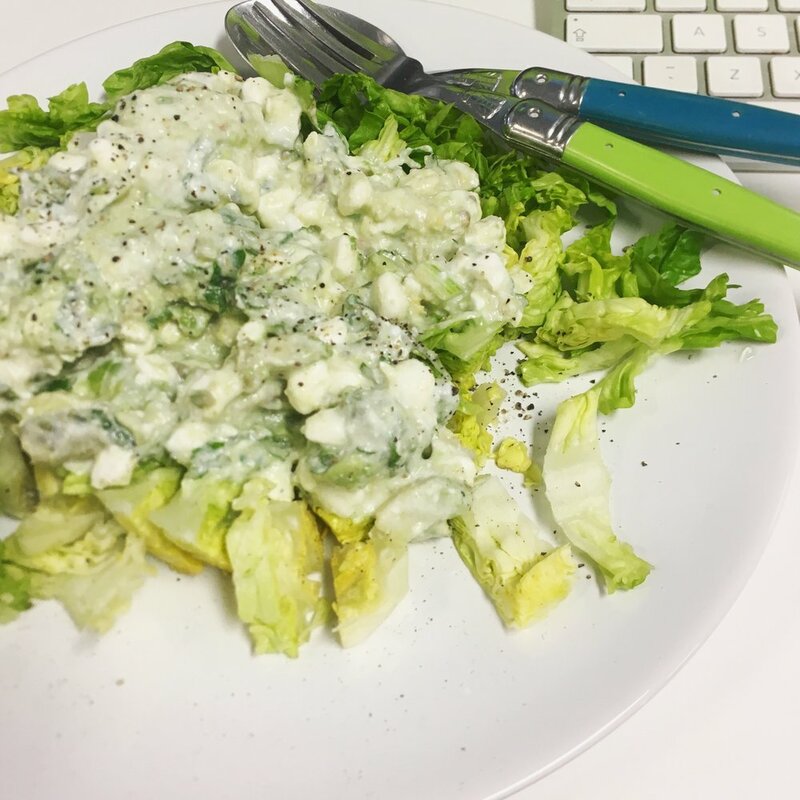 This is just so fresh and easy and light and delicious, I’ll definitely be having it again soon. I made it again the other day and instead of scooping it all into the shells, I just put the shredded lettuce on a plate and all the yummy avocado mixture on top!